DETECTO’s USA-made HealthySole® is the first clinically-proven UVC product to kill up to 99.99% of exposed microorganisms, such as bacterial and viral pathogens, on the soles of shoes in 8 seconds. HealthySole® is also effective against fungi and bacterial spores that travel on shoe soles leading to the spread of infection via inhalation or horizontal translation from surface and air contamination. By adding HealthySole® to an existing infection control program, the facility will decrease the overall microbial load starting with shoe and floor contamination. HealthySole® HSPlus UVC Disinfection System significantly decreases the aerosolizing, migration, or transfer of deadly pathogens that lead to higher healthcare-associated infections (HAI) rates. HealthySole® is green technology that disinfects without using harmful chemicals. ETL/CETL and CE listed. Below is a list of frequently asked questions that customers are curious about before making a purchase. Q. So how does your product work? A. Upon entering the O.R. corridor either through the front entrance or through locker rooms, each clinician would step onto the Healthysole® Plus device. The HealthySole® Plus informs the clinician that their shoes are properly aligned and starts an 8-second count down opening up the shutters and exposing the soles or booties to the germ killing ultraviolet light. At the end of eight seconds a green check mark appears letting you know the process has been completed. Q. Are there any studies that show the quantitative reduction of HAIs in a certain hospital once HealthySole® Plus was introduced? A. In today’s battle of fighting HAIs, hospitals are using an arsenal of UVC products and equipment such as robots or air and water treatment systems to kill pathogens from those reservoirs. This lack of options is leaving the shoe soles untouched. To answer your question, three independent third-party laboratories including the Cleveland VA, Texas Medical Center Houston and Microchem Labs have tested and proven an over 99% kill rate for MRSA, VRE, CRE, Streptococcus and Pseudomonas. Q. What will HealthySole® Plus do differently compared to other disinfectants or types of new technology such as whole room plasma machines, UVC robots or chemical environmental decontamination? practice for infection control programs is to bundle all the necessary effective technologies to address every potential vector for the spread of infectious pathogens. There is no silver bullet; however, when technologies and chemicals are bundled properly the highest potential for environmental de-contamination is achieved. Although technology such as ion disinfection systems are an attempt at 24/7 disinfection technology, they only theoretically lower the load in the particular room they are used in and don’t treat the shoe soles nor stop the spread of organisms from entering or exiting an environment. There are areas within healthcare that cannot use this type of ionization or other aerosol or mist technologies. HealthySole® Plus can be used in any environment in healthcare even in conjunction with technology such as these. the HealthySole® Plus. HealthySole® Plus can be placed at any room or hallway where people are present 24/7 and work in tandem in rooms where robots are deployed. Chemicals are also good for environmental cleaning purposes; however, they are not used all day long, nor can they keep the floors clean when shoes step on a previously de-contaminated floor. Although chemicals are very necessary, they are a quick fix of a contaminated or soiled location, which will be rapidly re-contaminated. Chemicals often cannot be deployed often enough, fast enough, or in certain environments. Because HealthySole® Plus is a non-chemical use of disinfection technology, it can be used constantly by staff and placed anywhere in a healthcare environment and again work side-by-side existing chemical protocols. Q. Do we already have established protocols for Hospital Departments? A. Protocols for HealthySole® Plus in different departments will vary depending on each hospital. The layout, size and traffic flow of the particular department or room will vary from hospital to hospital. For example, if implementing HealthySole® Plus into an ICU, HealthySole® Plus should be placed at each entry/exit point within each separate room. 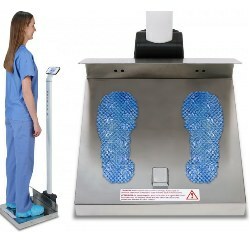 For the highest effectiveness in reducing the overall microbial burden and to reduce the spread of pathogens into and out of the ICU, it should be protocol for all staff and visitors entering and exiting the ICU to stand on HealthySole® Plus (assuming there is not an emergency where a staff member needs to relocate immediately). If traffic flow is high or if the ICU is divided into separate rooms, HealthySole® Plus units should be added to fulfill the need of separate locations or high traffic volume. This same protocol should be followed in other departments, units or wards such as Dialysis, Wound Care, Cancer Treatment, Burn Treatment, etc. Operating Rooms and OR corridors also need to have HealthySole® Plus units at each entrance/exit of the critical areas beyond the barrier or “red line.” Hospitals that desire to be most effective in lowering the overall microbial burden inside of each OR, can place a HealthySole® Plus unit outside of each room, designated for the entry and exit of each person to that specific room. Q. We already have a procedure in place that addresses shoe soles. It is mandatory that all of our OR staff replace booty covers when re-entering the OR area, so why would we need HealthySole® Plus? decreasing the risk of infections. Remember, 33-37% of HAIs are surgical site infections, many of which come from the OR. Lastly, booties don’t kill the organisms on the soles of the shoes when applied, they simply cover them up. HealthySole® Plus kills the organisms not allowing them to survive or replicate and lowers the OR environmental microbial burden. As well, the HealthySole® Plus can be used in conjunction with over shoe booties, continuing to further strengthen the hospitals fight against infectious pathogens. Q. We have constant traffic with staff in and out of rooms; therefore, it’s not realistic to have them stand on the unit for 8 seconds each time. A. Whether or not we like it, ICUs and PICUs suffer issues from dangerous pathogens and all possible Infectious Control hygiene measures must be used to address this. Shoe soles have been proven to be an unaddressed reservoir of infectious pathogens in a hospital environment and are the first step that leads to infection transmission if not addressed properly. It is recommended whenever possible* to use HealthySole® Plus by each person entering the ICU/PICU for an 8-second kill cycle, in order to reduce millions of organisms from entering that critical environment. *As long as that person is not time restricted due to emergency. take up to 2 minutes to be effective. These protocols are required prior to treating a patient; furthermore, they are used between separate tasks on one patient and always between tasks on other patients. The HealthySole® Plus and its ability to reduce germs within a space means it should be handled like hand hygiene as a major barrier to stop the spread of infectious pathogens in an ICU/PICU as well as other acute areas. This consistent use of the HealthySole® Plus will ultimately keep patients and staff safe and healthy as well as reduce widespread infection within a facility. Contact our sales team (919) 776-7737 or visit our website to get a quote. 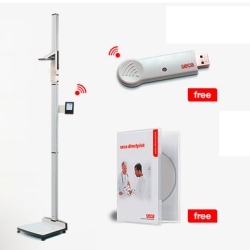 So You’re Looking For Cheap Veterinary Scales? Quite often we are asked for a set of “cheap vet scales to weigh my ______ (fill in the blank)”. It could be dogs, cats, llama, alpaca, pigs, sheep, goats, etc… Unfortunately these days when you say the word cheap or affordable or low cost, you almost always have to supply scales that are made in China. And of course when you talk about electronics from overseas, you can get a wide range of quality. As for made in the USA, we do have some American Made veterinary scales from Detecto if anyone is interested but they are more expensive. So, assuming you still want to stick with the “affordable” vet scales, let’s take a look at a few of the imported vet scale models currently available that we like. 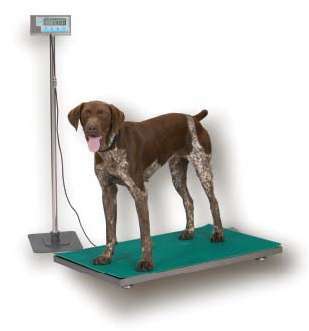 The Weighsouth VS-2501 vet scale is a heavy duty vet scale that is a really good scale for many applications. This scale is well built and one of our favorites in this market. The price is good and the quality and durability have been impressive. As you can see from the pictures in the link above the scale has a nice digital indicator and adjustable feet. The Brecknell line of animal and livestock scales is very impressive. They have several smaller scales for weighing small animals. They have three different sizes of the PS500 which are great for vet hospitals. If you need a larger platform and capacity, they offer the PS1000 which has a 1000 pound capacity and 55″ x 20″ platform, the PS2000 which is a larger 59″ x 30″ platform with 2000 pound capacity and the PS3000 with 3000 pound capacity and 39″ x 78″ platform. 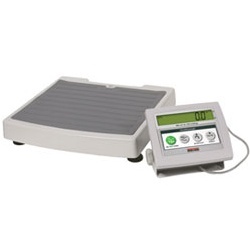 The LVS 700 digital scale is an affordable choice especially for individuals looking to weigh their animals at home. The scale is easy to use and the display is easy to read. We have the standard size of this scale and we also have a “Extra Large” version of this scale which is slightly bigger. The platform has small wheels on one end and a handle so it can be carefully transported to another nearby location if needed. So which vet scale should you purchase? Our suggestion is to contact us and we can walk you through the pros and the cons of each animal scale that we offer. We have sold all of these scales over the years and have experience with them, either directly or through our customers reviews. Give us a call and we can review each of the items with you and make sure that you get the correct vet scale for your particular application. Our main phone number is (919) 776-7737 and the website is www.centralcarolinascale.com if you prefer to email us. Today Brecknell (formerly Salter Brecknell) announced a couple of changes to two products. The ESA balances and the RGT-160 medical scales. The ESA lineup will now be listed as the MBS series. 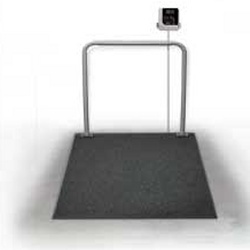 The RGT-160 mechanical doctors office scale has been upgraded and is now the HS-200M. So the following part numbers will be changed.